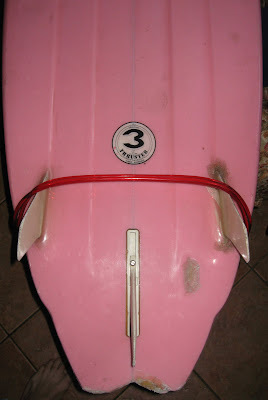 : Board Collector: South African Thruster. A reader from the US sent me these pics a while ago and they sent me into a spin. I could'nt work out this boards heritage. Its definatley from 81 or 82. I could tell it was'nt an Australian Energy thruster, so I assumed it was a US licenced design. 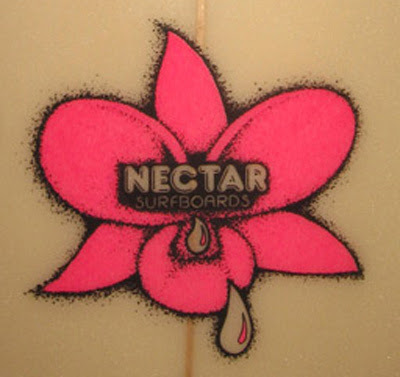 But its clearly documented that Simon licenced the design to Nectar from day 1 as he discusses in the video below. There is no Nectar logos so I thought it was a fake till I saw the 'small print' A quality County Rhythm Product. A bit of digging revealed that Country Rhythm is a South African label from Durban. Geez what a rare board, and so pretty too. 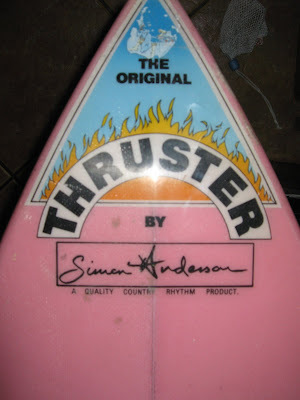 My Uncle Lisle Coney was Country Rhythm surfboards - he had a deal with Simon Anderson to market the Thruster here in South Africa. To be exact Country Rhythm boards were manufactured in Margate about a 90 minute drive south from Durban. Lisle is now based in Sydney Australia. Hi. I just bought a Country surfboard. So cool and retro. And ancient!! Stoked that I managed to get hold of this collectors piece!